Home » Where to buy a rabbit? 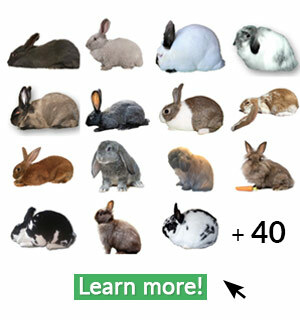 There are more than 10 places that may offer rabbits for sale. Don’t miss our following tips to discover the best and the worst places to buy from. After all, it is vital when buying any new pet that you know how to pick out the healthiest bunny possible. There are several options available in regards to where to buy your rabbit. There are Animal Shelters, Pet Stores, Farm and Garden Supply Stores, Rabbit Shows, Fairs, For Sale ads on various forms of media – such as Craigslist and your local newspapers, and Rabbit Breeders. With so many choices, you may find yourself wondering which source is the best to buy from. 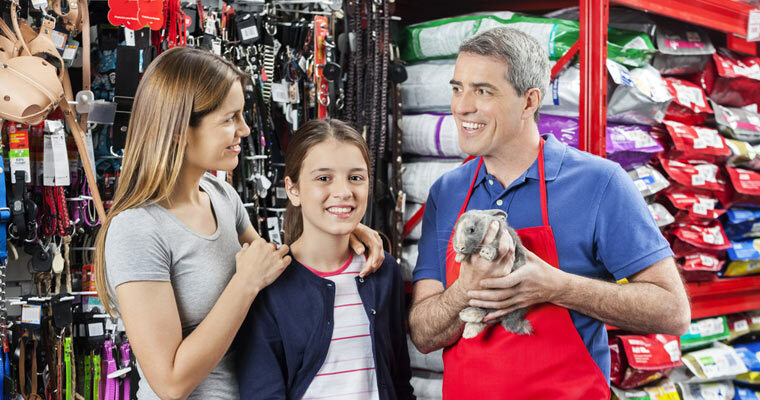 While Animals Shelters and Pet or other stores, may seem to be the fastest way for hands-on access to a rabbit, what you may not know is why the rabbits are in those shelters or stores to begin with. It is possible that a few facts may be given to the shelter or store management, but the truth is that –more often than not- most of those places really do not know much information about the animals that are in their care. And unfortunately, Pet or other stores, respectfully, are not the best options to go with for the same reasons. That is not to say that it is impossible to find a great rabbit at one of these locations; but simply that in most cases, very little – if any- information is known about them. Because of this, you really have no idea what you are buying, or how healthy it is. 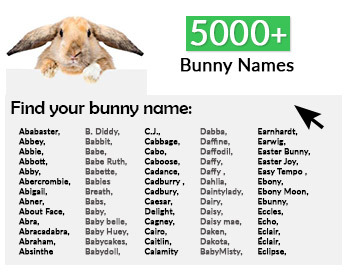 Next, there are usually ads for rabbits available on various forms of media. Searching Craigslist and local newspapers can often result in at least one or two rabbits being offered to new homes. Usually, however, those ads are placed because someone got a bunny for their child for Easter and after the new wore off, the child was no longer interested. Therefore, the parent was left to find a new home where the ‘sweet, adorable bunny will get more attention.” There is nothing wrong with this, of course. After all, every rabbit deserves a great home, with lots of care, and loads of attention. However, if this is the case, once again you will be left in the dark in regards to the history of that animal, plus if that rabbit was neglected for an extended amount of time, you run the chance of that bunny not being the friendliest one on the market. Lastly, there are Rabbit Breeders. These are people who, for one reason or another, have fallen in love with rabbits and hence, made the decision to raise them. These people will be able to tell you a wealth of information. They can tell you if what they have available is full-blooded or a mix-breed. They can answer questions in regards to health of that rabbit in addition to the parents of that rabbit. Often times they will also have or at least know the information about that rabbits siblings, grandparents, aunts, uncles, and so on. Explanations can be given about every aspect of that rabbit’s life – from the day it was born, until the day that you arrive to pick it up. If asked to do so, all responsible breeders will also be more than happy to help you learn and understand the importance of daily health checks, what brand of feed to use, and a huge array of other aspects. Furthermore, these people are far more concerned with matching the right person to the right rabbit, verses making a quick sale – which is often the case when dealing the in-store purchases. The reason for this is because these breeders have invested many hours in caring for each and every rabbit they have. They know the emotional value that quickly becomes invested by the buyer. Also, because they do care, they are much less likely to sell you an unhealthy rabbit that may end up dead in a matter of hours or days. Otherwise, breeders can also usually offer pedigrees, birth certificates, will generally always offer mentoring advice in the days and years ahead. 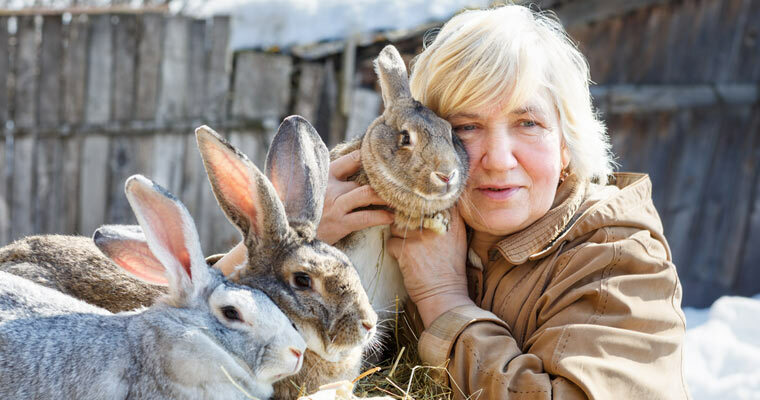 In fact, if you decide to buy from a breeder, you can typically count that person as a bunny-friend from that day forward. 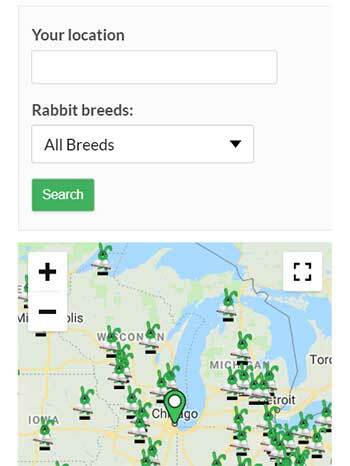 Rabbit breeders are also fairly easy to find. You can do a web-search for your area, or find and go to an ARBA Affiliated Rabbit Show or your local County Fair. And of course we are here to help as well, by offering a “Breeders Listing” as well as a “For Sale” section on this site.